The CE5 wickless clearomiser is a basic vape tank, ideal for beginners and entry-level users. It's suitable for use with an eGo-type kit and Spinner devices, but can be used on a 510 thread with a suitable adapter. They are just as easy to fill, simply unscrew the mouthpiece, tilt the clearomiser and fill with your chosen e-liquid, being careful not to pour it down the central tube (which is the airflow chamber and will cause your e-liquid to leak out of the bottom of the tank). Always leave your e-liquid to soak in for a few minutes before you start vaping. 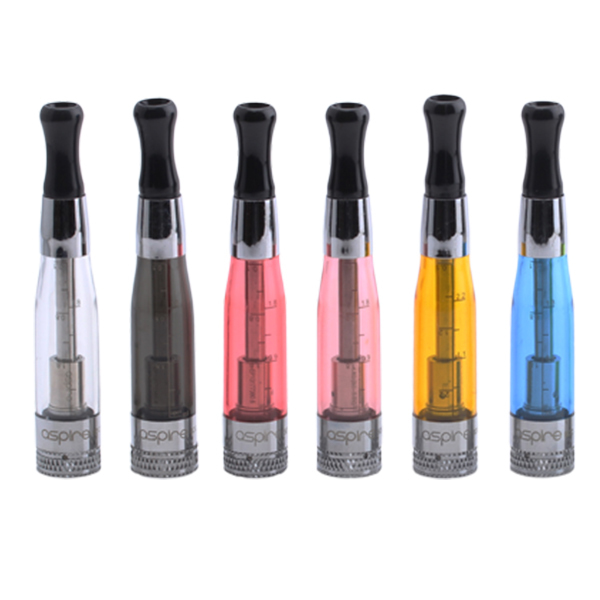 CE5 clearomisers do not perform well with e-liquids which are high in VG content. We would advise to go for a more advanced clearomiser if you are vaping juices which contain 50% VG or above. Please note that CE5 wickless clearomisers are sold as a disposable device and we can only offer a 24 hour DOA warranty on these products. However they can be re-filled many times and will last an average vaper between 2 and 4 weeks. Warning: This is a polycarbonate tank & certain flavours in e-liquid can cause the tank to crack, known flavours are citrus, menthol & aniseed.